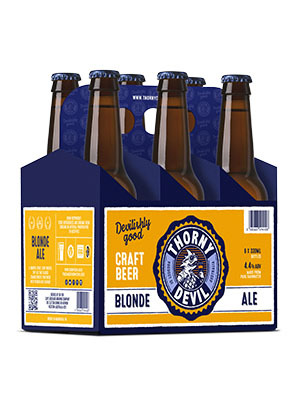 Australian Beer Online: Discounted Thorny Devil if you order now! VICTORIA has emerged as the nation’s craft beer capital housing more small brewers than any other state. The craft beer boom shows no signs of going flat, with a record number of small breweries operating around the nation in a sector worth $740 million annually to the economy, a new industry snapshot shows. The report, to be released on Tuesday, comes as the peak body for small brewers calls on the federal government to give its members a similar tax break to those granted to wineries. The number of small brewers surged from 30 to 379 in the decade ending last year, the report from the Independent Brewers Association found. Close to one in three of those — 116 in total — were located in Victoria, making it the most popular state for craft beer makers. New South Wales was next with 101, followed by Queensland with 45. Independent Brewers Association chief Chris McNamara said the success of Mountain Goat, launched in Richmond 20 years and now owned by global drinks giant Asahi, had inspired others in the state to enter the industry. “Food, coffee and craft beer — it has all really taken off in Victoria,” Mr McNamara said. Mr McNamara said high and complicated excise duty arrangements were hampering the sector’s further growth. Beer sold in a 30-litre keg, the favoured size by boutique brewers, is charged a higher excise rate than that sold in a 50-litre keg. The association is pushing the government to simplify the excise regimen on beer and give small brewers similar tax breaks as those granted to wineries. “That will allow our members to hire more people and invest in building up their business,” Mr McNamara said. The report defines a small brewer as a business that produces less than 40 million litres of beer a year and is not more than 20 per cent owned by a large brewer. The classification excludes industry pioneers such as Mountain Goat and Little Creatures, which have been bought out by global drinks giants.